For Sir Stirling Moss and his wife Susie, a cruise in the sun is quite simply the perfect antidote to their busy day-to-day lives. “Movement is tranquillity, old boy,” says Sir Stirling Moss, the most famous racing driver on the planet. “That’s part of the attraction.” He might have retired in 1962 but ask any man in the street to name a racing driver and the answer will invariably be: Stirling Moss. Having lived his entire life at full throttle – he still works 12 hours a day just being Stirling Moss – it is perhaps surprising to discover that his favourite form of relaxation is cruising. He loves it, and so does Lady Susie Moss, and they go to sea as often as they can. You’d think the pace of life on board would drive the man mad, that he’d soon be doing laps of the deck, looking for a record time from stem to stern. “No boy, not at all,” he laughs. “It’s true that I’m not a person who relaxes easily. I take my work with me and I like to go on line and check my e-mails – there’s always something going on – but now my son Eliot runs my property business I have more time to relax, and, I’m pleased to say,I no longer get on the ships worrying about dripping taps and leaking rooves! Stirling and Susie came to cruising holidays late in their lives, starting only 15 years ago on a recommendation from the great television reporter Alan Whicker, whose famous line “you soak up the sun, they move the scenery” just about sums up the joy of being at sea in the sunshine. “The great thing about life onboard a small luxury ship is that it’s so completely different from anything else we do in our normal daily lives,” says Stirling. “We’re always busy, so this is how we get away from it all a few times each year. Both Susie and I are sun worshippers and we’ve just spent Christmas cruising the Caribbean. It’s the perfect escape, soaking up the sun. When they first went to sea, Stirling and Susie had to learn the ropes – how to choose the best ships and the best routes for them. 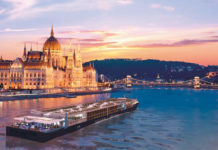 Now they know exactly what they like: “We always go for the smaller ships on luxury lines like Silversea and Yachts of Seabourn,” says Stirling firmly. “There aren’t so many people and the service is absolutely fantastic. We don’t want to be on those huge ships with two thousand other people – it takes too long to get on and off for one thing! “The great thing about the smaller ships is that you have your own space and other people tend not to encroach upon your privacy. Plus all the cabins are on the outside, with sea views, there’s plenty of room to spread out and relax, and you can eat where you like, when you like and with whom you like. There’s long been an impression among those who have never cruised that the ships are full of elderly people who wear shorts at breakfast time and blazers with plimsolls for dinner. As a result cruising has, until recently, had something of a staid image. “Many of the passengers may be retired,” says Stirling, “and there are some elderly ladies spending their ex-husbands’ fortunes, but the bigger ships in particular are great for families with children. Not only is there lots to do, but you get to see some interesting places. 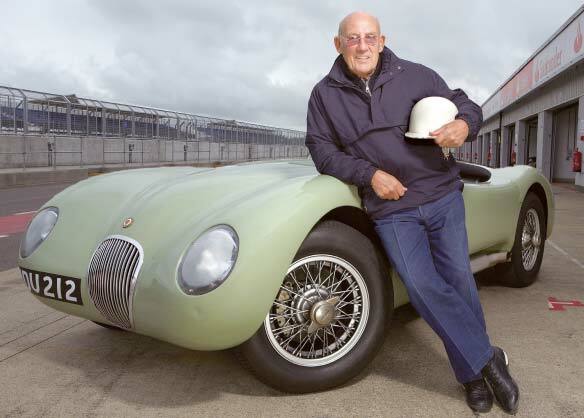 During a career that forged his reputation as the greatest all-round racing driver in the history of the sport, Stirling Moss could never have been accused of cruising. He only knew one way of living, and that was flat chat, pedal to the metal. Now, living in the slightly slower lane, cruising really is one of his greatest pleasures. ■ Sir Stirling Moss, the legendary British racing driver, raced from 1948-1962 and during the course of his career clocked up 16 Formula One Grand Prix wins. 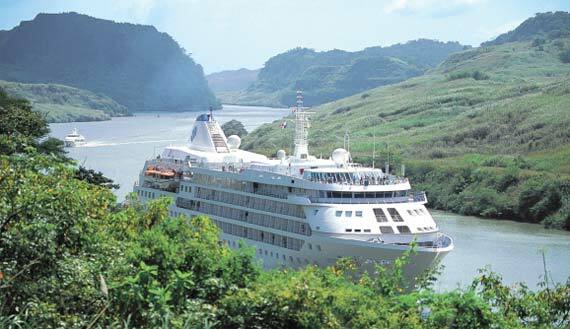 For more information on his cruise lines of choice, see our pages on Yachts of Seabourn and Silversea Cruises.